Badge Bomb Strong Magnet 4 Pack- Reading related magnets. Postcard- This postcard is a quote from the Emery Lord book (The Start of You and Me) that was the choice for the regular April Uppercase Box subscription. I'm disappointed that the regular subscription people received this postcard matted while those who opted for a personalized subscription did not. 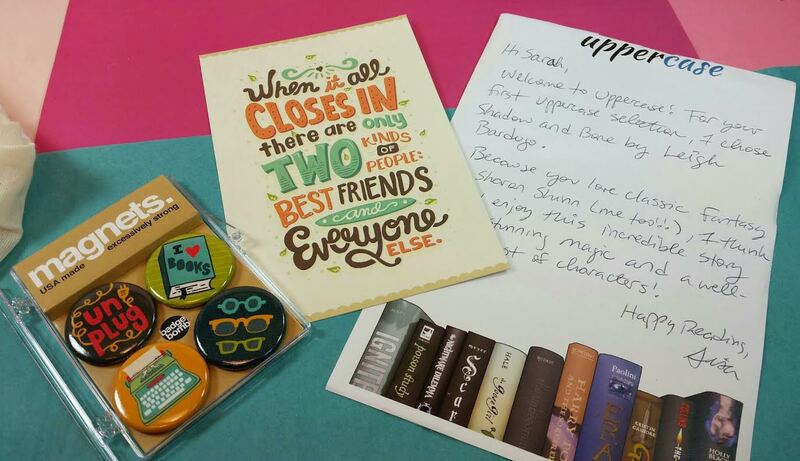 Personalized note- The curator behind Uppercase box is Lisa, a YA blogger who started up this subscription. She definitely knows her books and I appreciated the handwritten note. VERDICT: I purchased this personalized Uppercase Box for $32.10. The regular cost is $29 plus $6 shipping and I used a 10% off coupon. The total value of this box is $25 for the product and $5 for the personalization bringing the total value to $30. I don't like the fact that I could have bought this same book on Amazon for under $6. I *do* like that it's a book I haven't read before. I don't like that the value doesn't reach the full purchase price including the shipping. Especially since I wouldn't even have to pay shipping if I bought the book on Amazon. I do like the little extras, though it bothers me that the people who are paying more for the subscription are receiving less (no matting, softcover instead of hardbound). There is an inherent value in the personalization and I may have been lucky that it worked so well for me. I do read a lot so I wouldn't have been surprised if I'd received a book I'd read before. I think, though, that the price is too high. It's possible it's just because the book I received was low value? 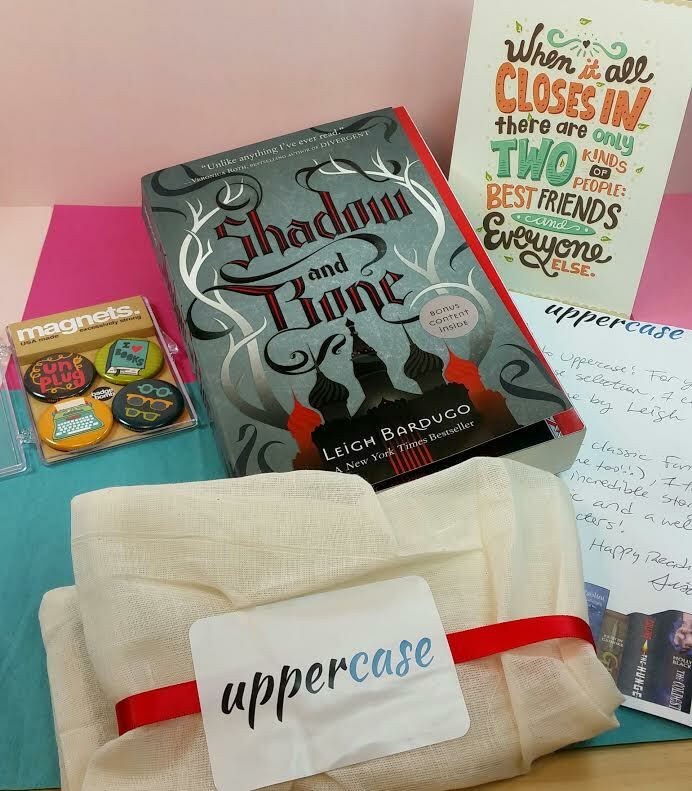 Uppercase Box does offer an alternative to subscribing. If you sign up for their email list, you can receive all their recommendations without any payment. I like that better. Because then you can look at what they're recommending and decide if you want to buy the book or not, and you can get it for a much cheaper price. I'm really tempted to do one more month just to see if this value was a fluke. 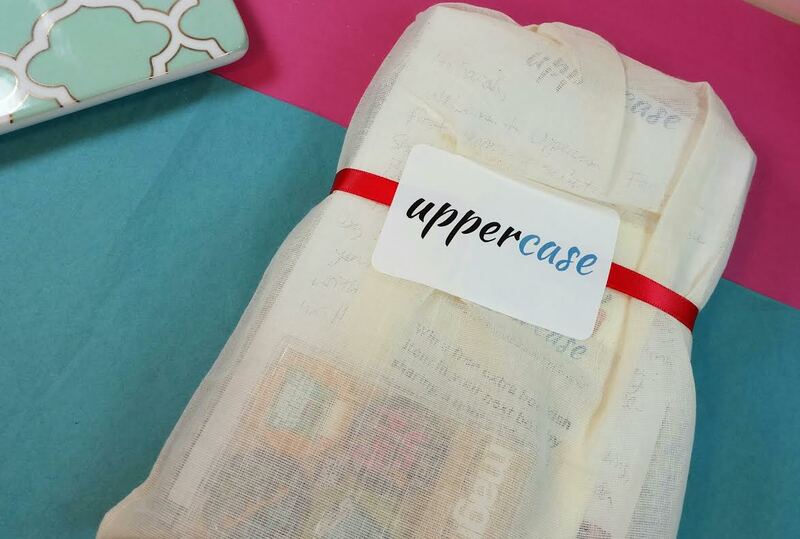 If you'd like to sign up for Uppercase Box, you can do that right here. I'm not aware of any currently working coupons, though. The one I used expired the night I used it. I don't read a lot of YA but I'd be willing to give this subscription a try. I love that it's personalized and it seems like Lisa really knows her stuff, even though this might not have been the best pick. If you give it another try I hope the next book is better! It was a really good pick for me because it's got all the elements I like. Except the bad decisions made by the main character for the sake of the storyline. I'll probably subscribe again and get the regular sub just to compare. I sent this subscription, the regular version, as a gift to my friend at home and I loved the little touches they add to this. I enjoy reading, but I can be picky because I lose interest quickly. I've been trying to get through GOT book 5 and sometimes weird things happen and I need to stop reading for awhile. I've managed to sign up for Owl Crate for May but I'm wondering if I should sign up to UpperCase to get a feel for both of them. 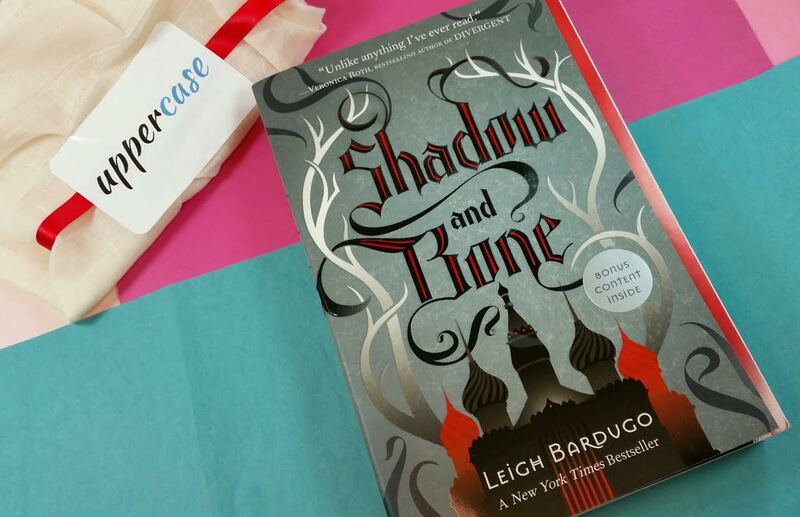 I really want to try OwlCrate! I would have signed up for May but I don't like dystopian futures. Or maybe the theme was parallel universes... Either way, I decided to wait until June. Hopefully I can get it. You are a SAINT if you've made it to Book 5! I was so depressed after the second book, I decided that I didnt need to torture myself or my emotions so much. I would be angry for days because they killed ANOTHER person I loved. Apparently now the show is going to deviate from the books which is interesting, I wonder why. I don't watch the show (I rarely watch TV- I read!) but I'm curious to see what ends up being different. Also... OMG, LitCube!! I just signed up because their theme this month is Steampunk!